This is the second entry in a series of guest blogs highlighting ITA activities that help connect U.S. companies to opportunities in the Indo-Pacific region following the recent Indo-Pacific Business Forum where Secretary Ross, Secretary Pompeo and other cabinet officials spoke about the Administration’s commitment to the region. Click here to read the first entry of our Indo-Pacific blog series. Stone: AES is the first independent power producer to reach successful financial closure in Vietnam since 2003, with a total financing of approximately $1.46 billion. The company has been investing in Vietnam since 2010 and successfully developed, built, and currently operates the 1,240 MW Mong Duong 2 BOT Power Project in Quang Ninh province. The project was completed with an award-winning safety record, on budget, and ahead of schedule. The plant is expected to generate up to 7.6 billion kilowatt hours of electricity annually. AES is looking at other business opportunities in Vietnam including renewable energy and natural gas power generation. AES signed an MOU on November 12, 2017, in the presence of Vietnam President Tran Dai Quang and United States President Donald Trump. This MOU is a critical milestone, expressing the commitment of both PetroVietnam Gas Joint Stock Corporation (PV Gas) and AES to jointly develop the Son My LNG Terminal Project, with a partnership structure of 51 percent and 49 percent for PV Gas and AES respectively. This marks another milestone in the historic partnership and strong collaboration towards mutual economic development between Vietnam and the United States. In addition to Son My LNG Terminal Project, AES has also expressed interest in investing in the Son My 2 CCGT Project, which will not only create jobs in Vietnam and in the United States through exports of equipment to Vietnam,but could substantially contribute to the bilateral trade and investment relationship between the two countries. The Son My LNG Terminal Project and Son My 2 CCGT Project may pave the way to increased long-lasting economic ties that would benefit both countries, and further increase the visibility of Vietnam in the US and vice versa. Stone: AES’s mission is improving lives by accelerating a safer and greener energy future. We strongly believe that Asia should be part of the transition to CO2 free energy production and we work in this direction committing to different projects in the region that will bring it to a new level of energy production and consumption. ITA: What was uniquely useful about the Vietnam Energy Industry Group? Stone: In the rapidly changing global environment the dialogue and exchange of ideas is the engine that drives the economies further. That is why we are happy that the newly-formed US-Vietnam Energy Industry Group has been able to create an energy forum and that facilitates dialogue to help business communities have the chance to discuss ideas with the local and national authorities of Vietnam, generating plans for economic development of the country. Stone: ITA is a valuable partner that helps us to strengthen the dialogue between the business and the authorities in different country. The fruitful dialogue with our key stakeholders is essential for the development of our ideas reflecting the needs of the local societies. In Vietnam we work with the Embassy and Department of Commerce to provide to the Government of Vietnam messages to reinforce AES commitments as well as request for a thorough consideration from the Government to ensure a fair business. Peggy Keshishian is the Acting Senior Commercial Officer in the International Trade Administration’s Foreign Commercial Service Team in Vietnam. Secretary Pritzker met with leaders from the American Chamber of Commerce in Vietnam. It was an honor to host Commerce Secretary Pritzker here in Vietnam. She and the visiting delegation of U.S. CEOs and the U.S.-ASEAN Business Council are absolutely right to prioritize the Vietnam market and their visit to the country will do nothing but help solidify a promising commercial relationship. Here’s what I know about Vietnam: Despite some potential pitfalls, it is a hotbed of opportunity for U.S. businesses. The country is modernizing, meaning there are numerous needs for infrastructure development. Improvements of transportation systems — including subways, highways, and airports — not only mean opportunities for U.S. firms, but also an improved business environment in the country. The population is also young; 70 percent of Vietnamese citizens are under 40 years old. That means there is tremendous opportunity for developing brand loyalty among consumers. Vietnamese citizens recognize the quality of U.S. products, and incomes in the country are rising. That helps create a promising environment for U.S. goods and services. That said, it’s important to recognize there are some risks in the Vietnamese market. Much of the money being injected into the economy comes from foreign sources, and is often provided by nations that expect their companies to receive a leg-up when it comes to competing for state contracts. You need to aware of how projects are financed so that you don’t end up spinning your wheels competing for a contract your business is unlikely to win. This is something Secretary Pritzker addressed in several meetings with Vietnamese leaders, and I believe the country is taking important steps to increase transparency and fairness. Our Foreign Commercial Service team works hard to make sure any American company looking to enter this market knows how to succeed. We work with our Commercial Service colleagues in the United States to support U.S. businesses with services like market research, finding the most qualified local partners, and discovering the best opportunities available. We’ll remain here on the ground, continuing to support U.S. businesses and building off the success of the Secretary’s visit. If you’re interested in opportunities in Vietnam – or in any other market – you should contact your nearest Export Assistance Center to get started. Nguyễn Quân in Hanoi, Vietnam. This May, I was able to lead the largest ever U.S. Civil Nuclear Energy Trade Policy Mission to Hanoi, Vietnam, and Beijing and Ningbo, China. This mission enabled us to address important policy issues and highlight how U.S. civil nuclear technologies and services can help Vietnam and China meet their civil nuclear energy goals. The U.S. government delegation included representatives from the White House, Department of Energy, U.S. Export-Import Bank, the U.S. Nuclear Regulatory Commission, and of course the U.S. Department of Commerce’s International Trade Administration. The industry delegation included 11 American companies in Vietnam and 15 in China. China is the world’s fastest growing civil nuclear market. 29 of the 65 reactors under construction globally are in China and the country’s nuclear industry is expected to grow to nearly $300 billion by 2020. In Vietnam, our delegation met with government officials and also participated in a Best Practices workshop attended by 50 representatives from Vietnamese ministries, state-owned utilities, and regulatory agencies. Delegates shared their expertise on a variety of topics including safety improvements post-Fukushima, and how nuclear regulators and industry can cooperate to enhance nuclear safety. In China, we met with eight ministries and companies to discuss policy issues such as liability, local content, and intellectual property rights. The mission concluded with a visit to China’s Sanmen nuclear power plant site, where the world’s first AP1000 reactor – designed by U.S. company Westinghouse – is being built. Our trade mission also lined-up with other important events recognizing the value of our economic relationship with Asia. This week, the U.S.-ASEAN Business Council is holding a series of meetings with U.S. businesses. I was also able to speak about the importance of Asia at the Hong Kong Trade Development Council’s Think Asia Think Hong Kong symposium in New York. I am proud to contribute to our important trade relationship, and to have led such a distinguished delegation to these key civil nuclear export markets. This is another example of our efforts to help U.S. exporters find new opportunities to sell their goods and services and support American jobs. Under Secretary of Commerce for International Trade Francisco Sanchez (L) speaks on a panel in Hanoi, Vietnam on November 14, 2012 with (L-R) Ambassador David B, Shear, Leocadia Zak of the U.S. Trade Development Agency and John Moran from the Overseas Private Investment Corporation. Asia is home to many of the world’s fastest-growing economies. Countries like China and India readily come to mind. The impressive development of other Asian nations, however, should not be overlooked. Two countries that have made big economic strides in recent years are Indonesia and Vietnam. They are among the fastest growing countries in the region, with growth rates of 6.5 and 5.9 percent, respectively, in 2011. Both are members of the Association of Southeast Asian Nations (ASEAN), the bloc of 10 states that forms the United States’ fourth-largest trading partner, making Indonesia and Vietnam important to the U.S economy. For this reason, the U.S. government is committed to further improving trade relations with both of them. Under Secretary for International Trade, Francisco Sánchez, recently led an Infrastructure Trade Mission there, underscoring these countries importance. This trip marked Sánchez’s third visit to Vietnam in 20 months. Our U.S. Government partners at the U.S. Trade Development Agency and Overseas Private Investment Corporation (OPIC) joined the ITA on this trip for a true whole-of-government effort. Eight U.S. infrastructure companies – Black and Veatch, Cisco Systems, General Electric Company, Honeywell International, Inc., Oshkosh Corporation, The Shaw Group, Westinghouse Electric Company, and WorleyParsons, LLC – took the opportunity to explore these two foreign markets. Both countries have pressing infrastructure needs due to their high growth rate, offering exciting prospects for U.S companies in that field. While in Jakarta, Indonesia – our first stop – the delegation met with public and private sector leaders to discuss opportunities that would be mutually beneficial to both of our economies. In Vietnam, the participants met with numerous government officials and representatives from the private sector. Highlights on the agenda included an encounter with the Vietnamese Prime Minister Nguyen Tan Dung and an American Chamber of Commerce hosted lunch in Hanoi. Most discussions during the trade mission focused on the potential for collaboration on infrastructure projects in areas such as energy, aviation, environmental technology, architecture, construction and engineering. This Infrastructure Trade Mission is another example of how the U.S. government is working to meet the National Export Initiative’s goal of doubling U.S. exports by the end of 2014. Southeast Asia is an export market with great potential for U.S. businesses. This growing economic and political importance was underscored by the fact that President Obama chose to visit the region in November directly following his reelection. Together, working in partnership with the U.S. business community, the International Trade Administration and the entire U.S. Government hope to continue to make progress in meeting infrastructure needs abroad in order to support good-paying jobs here at home. East Asia is one of the most lucrative regions in the world for U.S. exporters, with growing sales during the past several years. Indonesia, Malaysia, Singapore, Thailand, and Vietnam together purchased more than $47.7 billion worth of U.S. merchandise in 2009 and more than $62.7 billion in 2010. 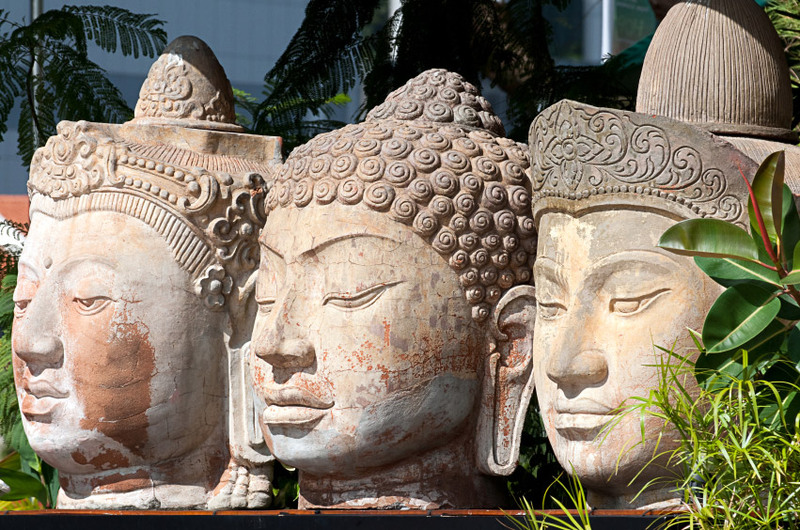 Trade Winds Asia can help U.S. companies take advantage of those markets. The central event of Trade Winds Asia will be a three-day business development conference on May 16–18, 2012, in Singapore. Before and after the conference, four separate trade missions will offer participating businesses the opportunity to visit Indonesia, Malaysia, Thailand, or Vietnam. The conference location, Singapore, is home to a sophisticated and modern economy that offers excellent opportunities for U.S. firms interested in penetrating the Asian market. It offers free port status; a straightforward, English-speaking, U.S. style of doing business; strong intellectual property rights protection; and suffers from very little corruption. The country is a major trading hub. It imports and exports products from consumer goods to high-technology and industrial goods for reexport to third countries. 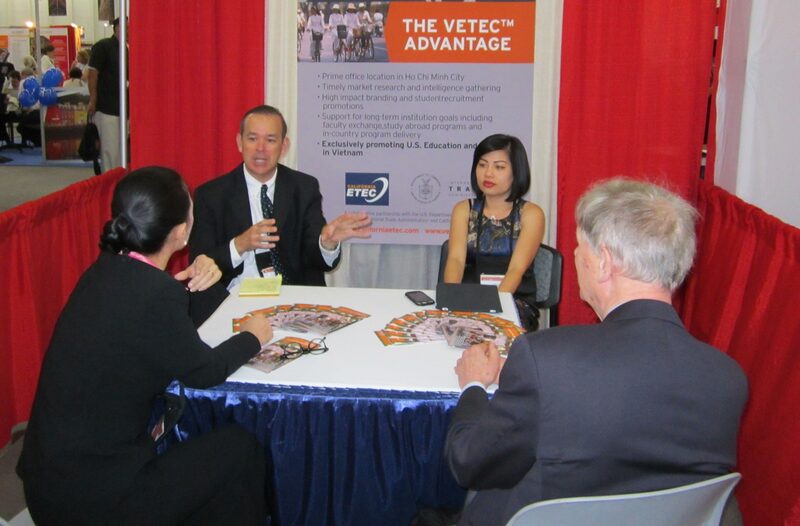 By participating in Trade Winds Asia, companies will benefit from a variety of events tailored to their needs, including prearranged consultations with up to 13 specialists of the U.S. and Foreign Commercial Service representing 14 countries, access to high-visibility business networking events with leading industry and government officials, and prearranged business meetings with representatives from firms throughout the region. The cost to participate in Trade Winds Asia ranges from $1,950 to $4,850 per company for one representative, depending on firm size and the number of mission stops. There is a $500 fee for each additional company participant in the Singapore event and $250 for each additional mission stop. Mission participants are responsible for travel, lodging, most meals, and incidentals. Applications must be received by March 30, 2012. For more information about the trade mission, visit its Web site or contact Shannon Christenbury of the USFCS, tel. : (704) 333-4886; e-mail: shannon.christenbury@trade.gov, or Judy Kornfeld of the USFCS, tel. : (703) 235-0331; e-mail: judy.kornfeld@trade.gov.